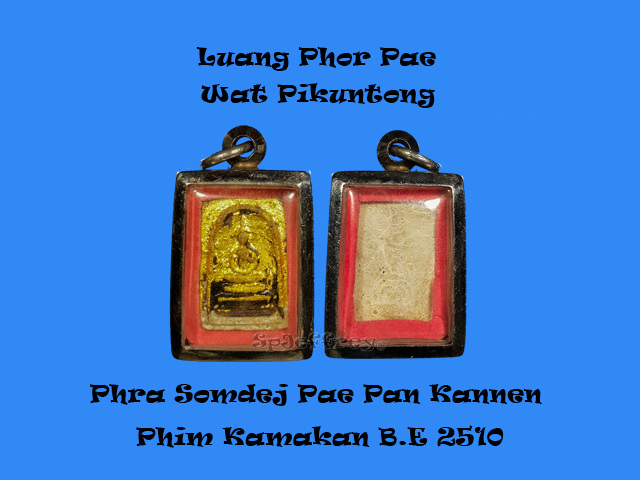 Luang Phor Deang is one of the pioneer batch of monks that created Luang Pu Thuad amulets. Which many of the famous phim of Lp Thuad amulet, he was invited to chant in the ceremony too. Mixed with nur wan, following B.E 2495 famous Lp Thuad phim and inserted with a gold tarkut in the front makes it even more rare and collectable. 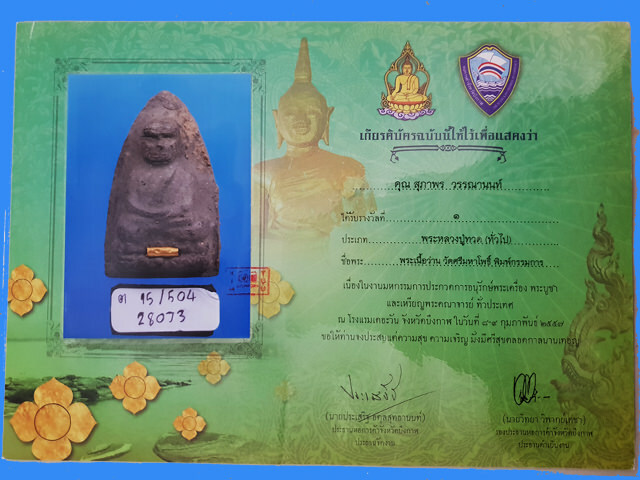 Luang Pu Thuad is well known to protect wearer from danger as many have near missed accident or freak accident that came out safe or minor injuries. Awarded first placing in major competition and encased in 90% gold case. 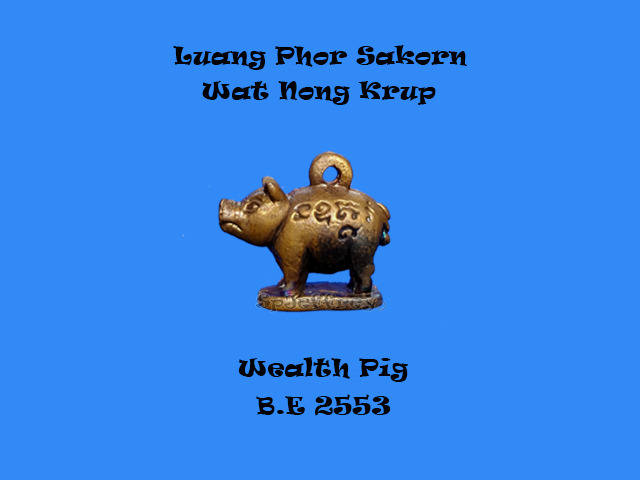 Chanted by Lp Sakorn personally in B.E 2553 which pig signifies sufficient food, material joy, home safety, prosperity, abundance, wealth, fertility and success in life as pig is intelligent animal which in modern times they are even use to sough for rare truffles in the wild. One can consider using the pig for growth in a business and harness manpower to support the growth. A piece great for wealth fetching, overcome debts and financial obstacles, preventing of unnecessary wealth , career progression and recognition in your career path. Great for placing it on your key chain or your bag if you are unable to wear it in your pocket. 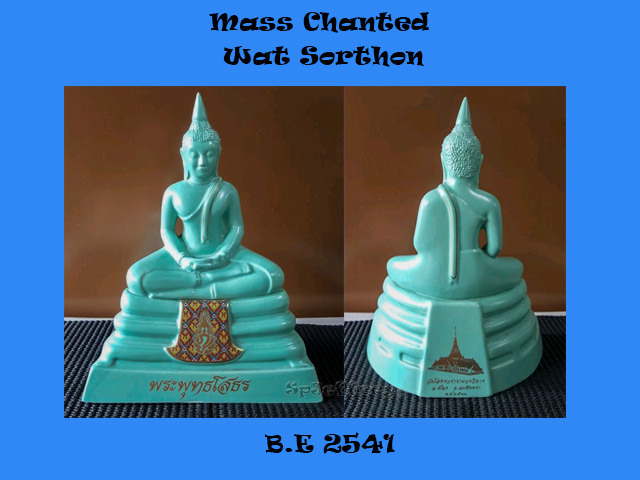 A beautiful piece of Phra Pita jumbo chanted by Luang Phor Pae personally in B.E 2531 and it first batch of jumbo piece. 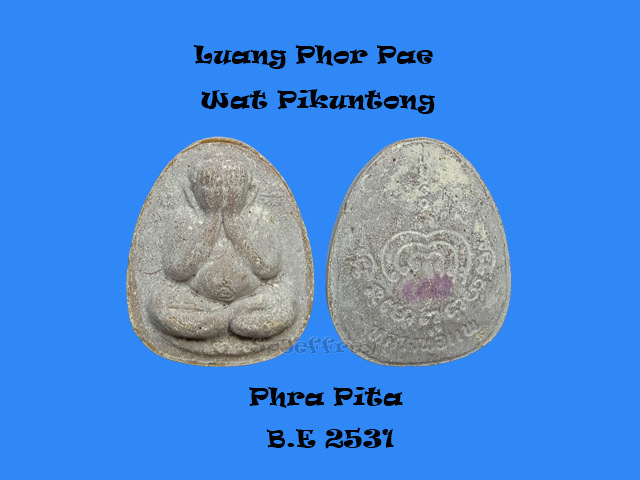 Famous nur pong kerson of Lp Pae have been added into this batch of amulet too and Phra Pita by Lp Pae is not only for protection but with wealth and metta too. Excellent piece for all ages and all jobs. Beautiful piece suitable for sending in competition. One of the best phim made by Lp pae himself as the cost of of a Pae Pan Phim Yai is more than 15k SGD, owning the smaller size of the Pae Pan ( kannen) is as good as the Phim yai and its way much more affordable. Why this phim is so good an hard to come by because it’s an alternative for Pae Pan Somdej and this have been mixed with The famous Ajarn Toh Of Wat Rakang Somdej powder. As a geunine piece of Ajarn Toh Wat Rakang can cost up to Millions of SGD. This Phra somdej kannen is one of the best Somdej made and have been mixed with Luang Phor Pae Nur phong Kesorn 108 which is excellent in metta. Phra Somdej Pae Pan Kannen had been inserted with a piece of gold tarkut inside the amulet and Blok A is the first pump in which is more valuable and made lesser than Blok B. Phim Kamakan is made lesser in Blok A as a thick gold foil have been paste in the front of the Phra Somdej to differentiate it. Luang Phor Pae have been blessing believers with great protection, metta and wealth as there is so many stories to be shared around be it hearing from friends are experiencing it myself. One of the pieces not to be missed as it is highly sought throughout south-east Asia. Strongly recommended for wearer who needs Smooth sailing in life and strong metta in their daily lives. Many top monk of the era have been invited to this big ceremony to chant this batch of amulets. Mixed with temple roof material makes this batch even more powerful as roof of the temple represent shelter for Dharma. Lp Sothorn is known to be wish granting Buddha as many devotees have their wish granted by Lp Sothorn which they went back to Wat Sothorn with 100 eggs to return merits. An all rounder amulet that is suitable for all age and all line of work. Made of ceramic material makes this bucha a very special piece as its painted with traditional colour with Thailand King's logo (Por Por Ror) as King Rama 9 did attended the chanting ceremony of this batch of amulets and bucha. Featuring Wat sorthon at the back of the bucha painted with gold and stated the year too makes it even prestige to own a piece of art and history. 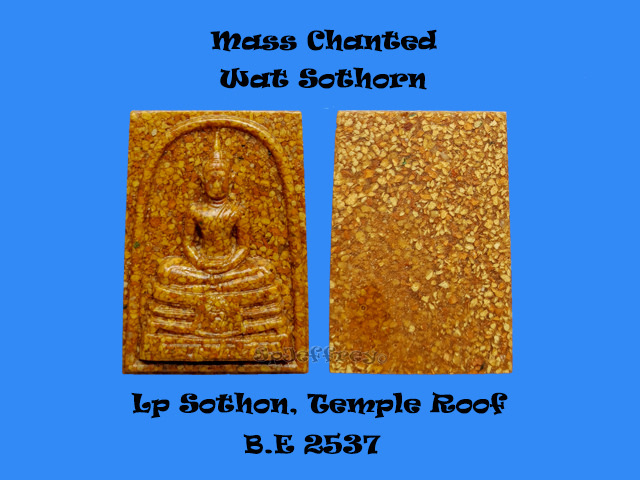 Luang Phor Sorthon is well known to be an wish granting Buddha which many had visited Wat Sorthon and got their wish came true and in return they brought eggs back to offer Lp Sorthon. 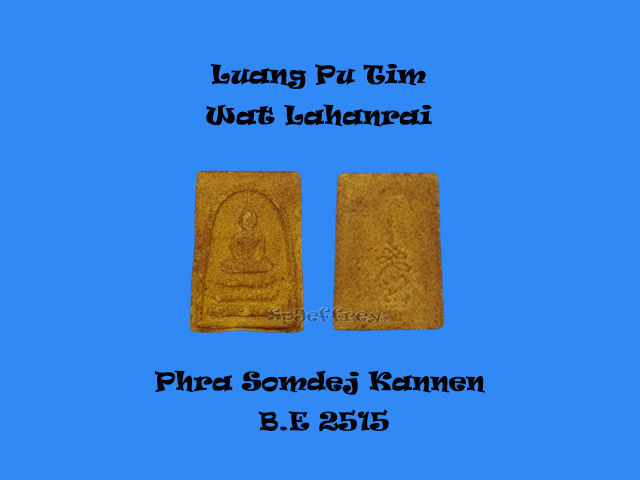 The only Somdej kannen released in Wat Lahanrai mixed with many old powder and chanted by Lp Tim personally. 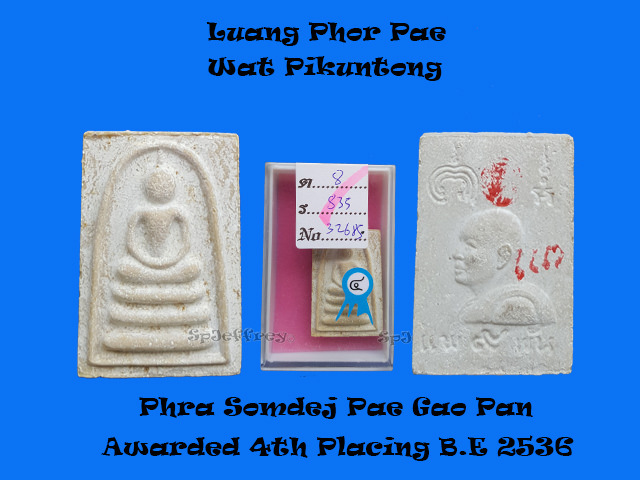 Lp Tim is well known for his Phra Khun Pean as it was known to be one of the top Kp maker in Thailand history. Not only that, many amulet chanted by Lp is well received by devotees. A small beautiful piece not to be miss due to its material content and many amulets do have great metta and wealth. 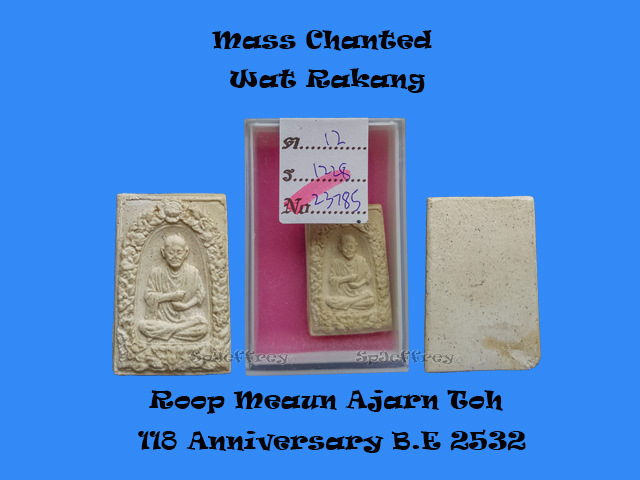 Mass chanted in Wat Rakang with many top monks have been invited to join this chanting ceremony celebrating 118 years of Wat Rakang. Many old powder have been added in the making of this fine detailed Ajarn Toh image. 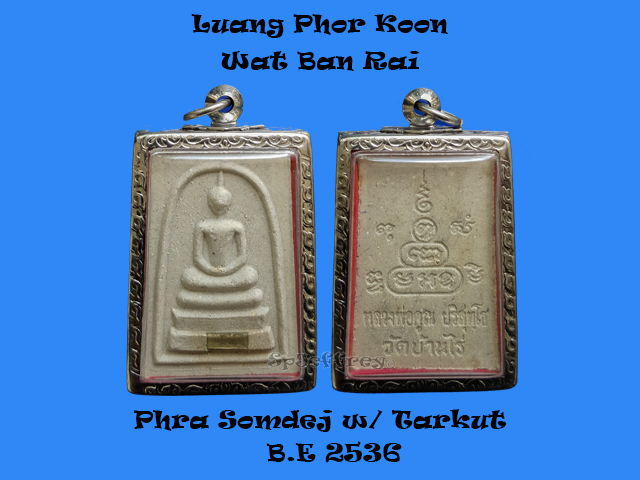 Ajarn Toh is known to be the creator of Phra Somdej and have been blessing devotees with all rounders in life and overcoming obstacle in life. Sent in for competition but did not manage to get a placing for it. A great piece to wear daily. Phra Somdej chanted by Lp Koon during his early years is highly sought as Lp ever said that those who have me will not be poor and indeed many who believe and pray to him experience many miracle. Phra Somdej is known to be an all rounder amulet which blesses the wearer with smooth sailing of life to good luck and wealth. Embedded with 1 Tarkut in the front to further enhance the amulet and a great piece for collecting or wearing in your daily life.